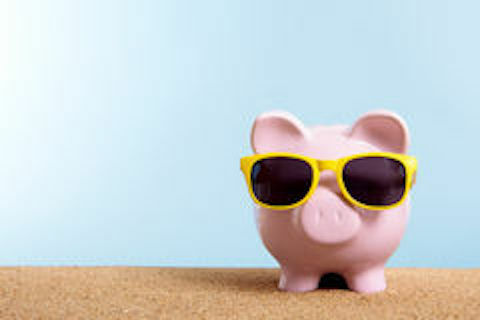 It’s not just summer time….it’s budget time! While it’s only August, chances are you are already looking ahead to next year–establishing your organisation’s program objectives, calculating your fundraising goal and trying to figure out what it will take (money-wise) to achieve it. That said, hopefully “peer-to-peer” is part of your 2016 plan. Whether you’re starting a new event or program or looking to expand an existing one, sometimes it’s hard to know what the investment really shouldbe…and what you can really expect to get out of it. Make a projection for every program. It’s best to have separate budgets and income projections for each and every program in your peer-to-peer portfolio. That way, you can analyse individual performance at the end of the year and identify isolated issues or outstanding efficiencies. Document your assumptions.What informed an expense or income estimate? Write it down. Your memory will thank you later. Include staff time. This is usually the biggest cost (investment) for any event or peer-to-peer program, so it’s a good practice to estimate how much time you expect your staff to spend on developing and maintaining the program and its participants. Then, keep track of actual time spent and adjust your staffing plan (and budget) accordingly for future years and/or similar projects. Distinguish between fixed and variable costs. Which costs will grow based on number of participants, teams, donors, and volunteers? Linking costs to their appropriate variables will make budgeting far more accurate. Use benchmarks. When possible, look at the results from similar programs or events and use those as your guide to estimating what the prospects, participants and donors will do for thisparticular event/program. Estimate attrition & retention.Consider the rate you expect participants to drop-out of your event or not fundraise for your program, as well as the rate that participants repeat your event/program each year. Both are metrics worth tracking as they can tell a lot about the effectiveness of your participant engagement and re-engagement activities. Expect some fundraising overperformance. Many participants that fundraise for your event or program raise more than the required or suggested fundraising goal. So, it’s important to include a conservative amount of overperformance in your projection…keeping in mind the level of fundraising support (messaging, tools and incentives) you plan to offer next year. Remember that peer-to-peer is a long-term investment. As a general rule, you’ll lose money in year 1, breakeven in year 2, positive net revenue in year 3…and significantrevenue in the years ahead! Incorporate all of our Top 10 into your peer-to-peer calculations and you’ll have a muchmore realistic ROI projection going into 2016. And the bonus? The spreadsheet you end up creating can (and should) be used throughout the year to track actual expenses, fundraising performance and, ultimately, help you see how well your “actuals” measure up to the projection. So, when it’s thistime nextyear, you’ll be even further ahead of the game.